Asso Invisilk is a new mainline from Asso. Bright red has proven a very popular colour mainline amongst anglers and now Asso have taken it one step futher with Invisilk. The concept of Invisilk is it is a high vis line that is invisilble in water. Red is the first colour to vanish underwater and Asso Invisilk has been developed to be high vis out of water but be as invisible as possible in the water. 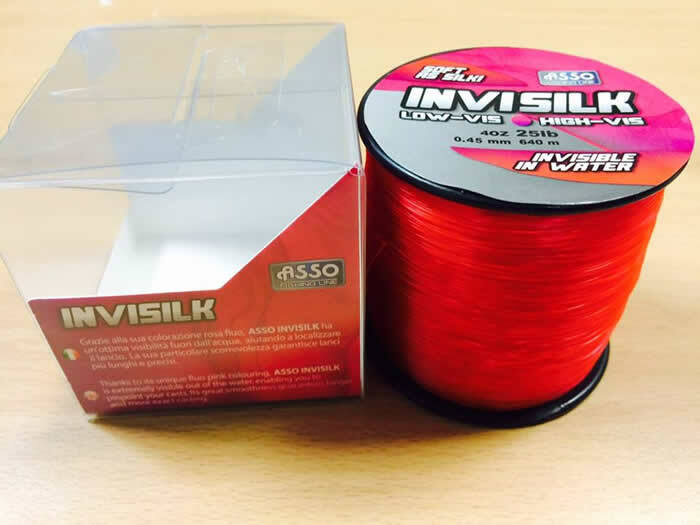 Invisilk is also a very strong durable mainline and is ideally suited to most sea fishing situations, including both Boat and shore, rough ground, piers in fact pretty much any type of fishing.